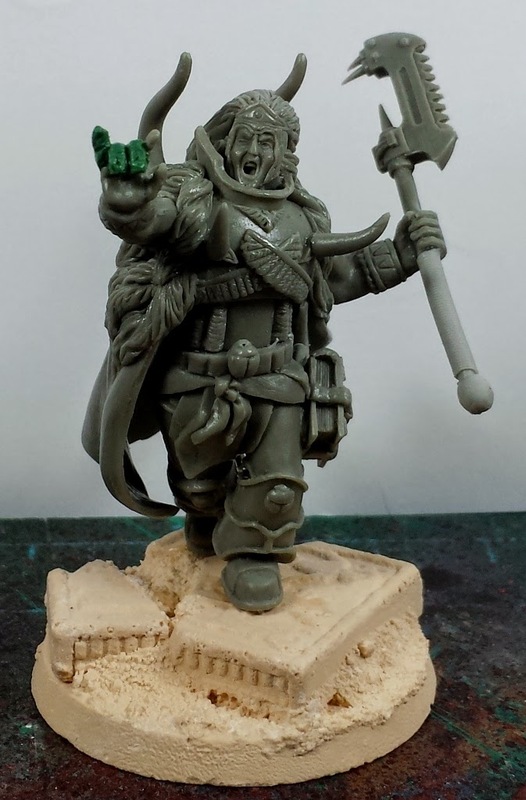 Starting to feel my hobby mojo coming back (as is apparent from the recent upsurge in posts), and I've been feverishly working on finishing off the models intended to go to the LVO coming up next month. With the Spartan and Captain Besenmut complete, at this point all that remains are 20 shoulder pads for the tactical squad, and ol' One Eye himself - Magnus the Red! There have been a couple knock-off Magnusses (Magni?) 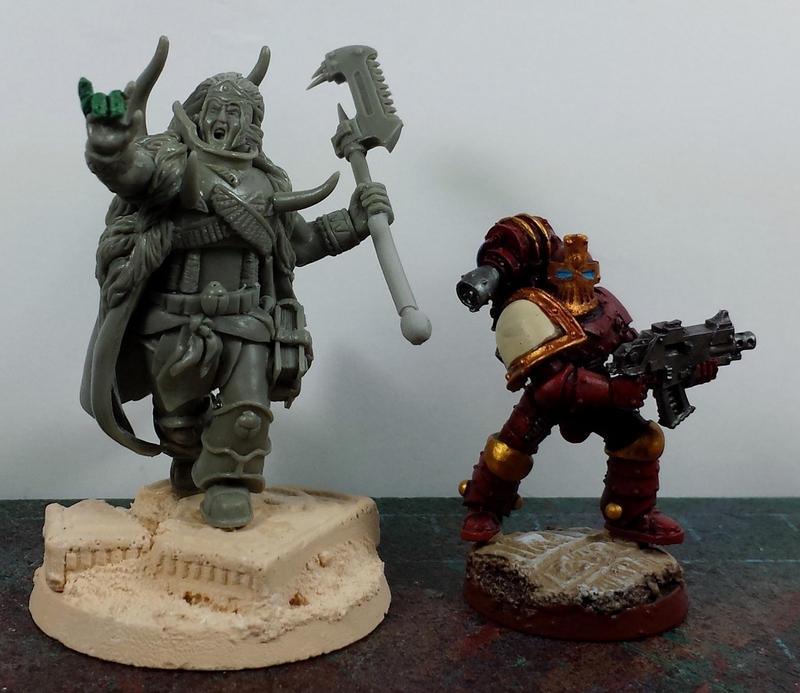 over the years, and the previous incarnation of the Thousand Sons utilized a different model than I am using this go around - while I love the scale of the old model (Magnus is often described as being a giant among his brother primarchs) the sculpt's proportions were a little wonky, and I have had a hard time sourcing a viable replacement. 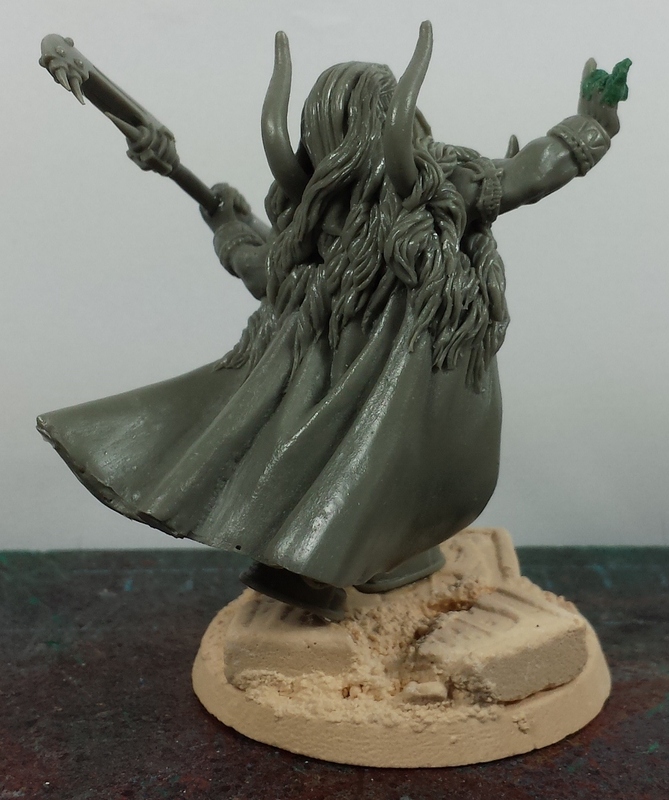 This alternate model is more on par size-wise with the FW sculpts, which makes him a bit easier to store and transport. It got roughed up a bit in transit to me unfortunately with the fingers from his right hand having snapped off, so I took a run at sculpting on some replacements. 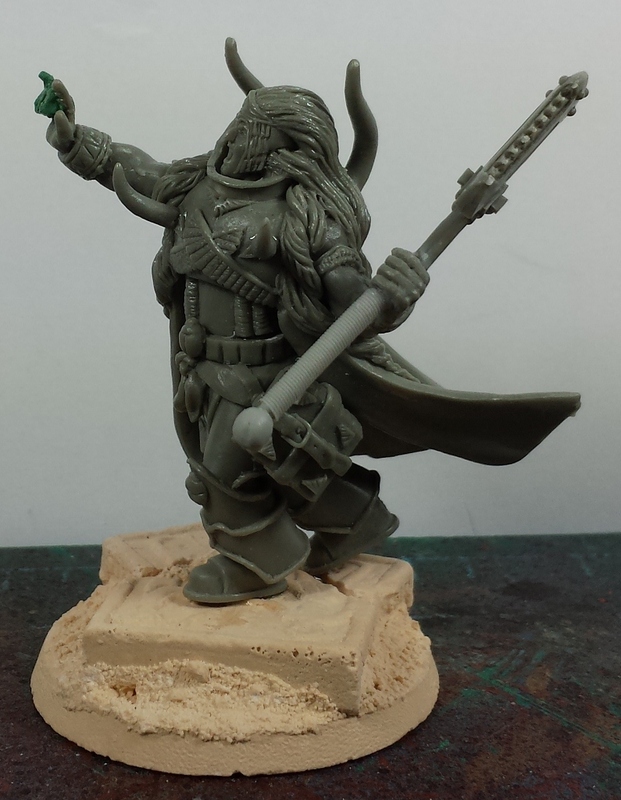 I also replaced the oddly short haft that came with his weapon for something a bit more substantial. So far, so good! ...And a scale shot alongside one of the tac marines - just about the right height to match up with other released primarch models. Absolutely cannot wait to see what FW does for the official Magnus model, but in the meantime this should do nicely! Love this dude, he's definitely METAL! @Stephen: Hah! I can't wait to see what FW does for the official model. @Jugger: Indeed! Figured he ought to be throwing up the horns. Hah! wow, i love that take on 'ol big red! Nice. What line is he from? That is a beautiful Magnus, My personal favorite is still the Kabuki Models Version? Have you seen this? Haha, I just love this pose, the face, the metal sign...just so much character! @Zab: Indeed! It's a pretty cool sculpt. @#2501: I'm not entirely sure, I ended up picking it up off eBay and it didn't come with any identifying packaging. @Nicolas Fayette: That is a cool model, but it's been my experience that the Kabuki models are surprisingly small. 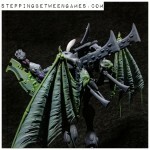 I'd picked up their 'berserk knight' quasi-Angron and it was only about 30mm tall. Beautiful models though! @Greg Hess: Indeed! I do like the pose far better than the old Ronin model, for sure.